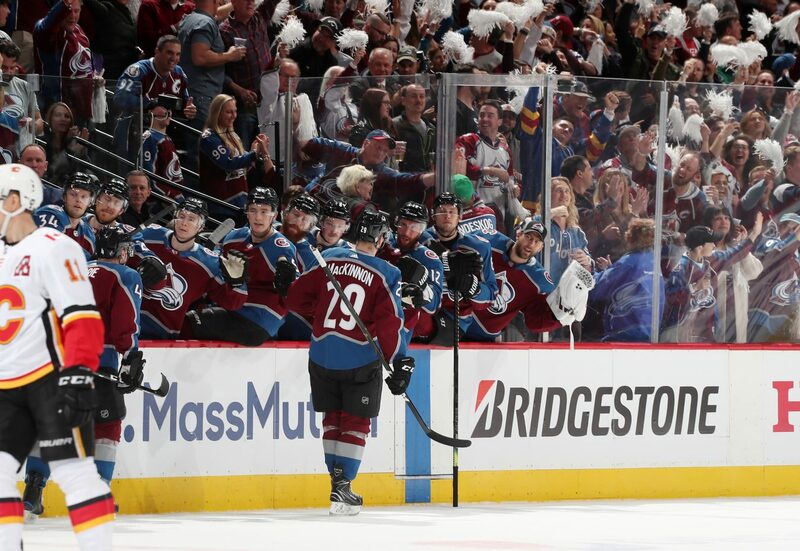 Transition Offence the "Number one priority" for Bill Peters after Avs stomp Flames in Game 3. - The Point Data-driven hockey storytelling that gets right to the point. 56 shots against – 6 goals allowed. Obviously, there are a few areas the Calgary Flames need to address following their 6-2 loss to the Colorado Avalanche in Game 3 but one issue outweighs the rest – transition offense. The top-seeded Flames are getting hammered off-the-rush and head coach Bill Peters knows it. This should have been, and likely was, Calgary’s number one priority heading into Monday night’s game and was the focus on my Game 3 preview. Could they find a way to limit the offense created by Colorado in transition? The answer, a definitive no. 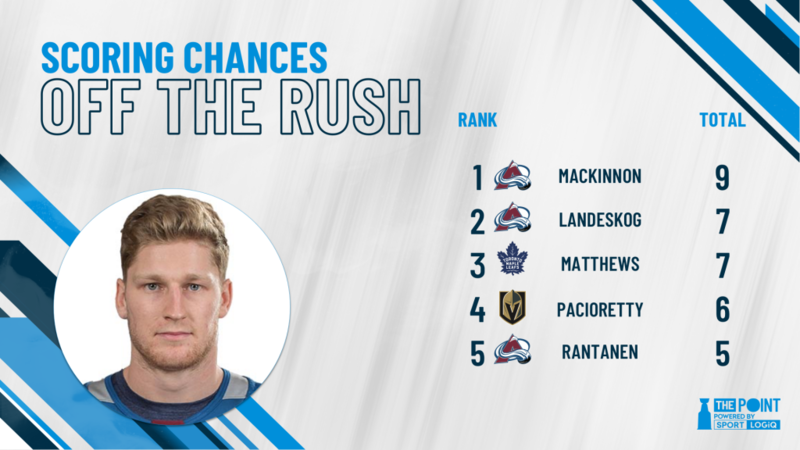 After two games in Calgary, the Avalanche out-chanced the Flames 24-9 off-the-rush with Nathan MacKinnon leading the way with a playoff-best 7 chances. His 7th was the OT winner that ended Game 2. 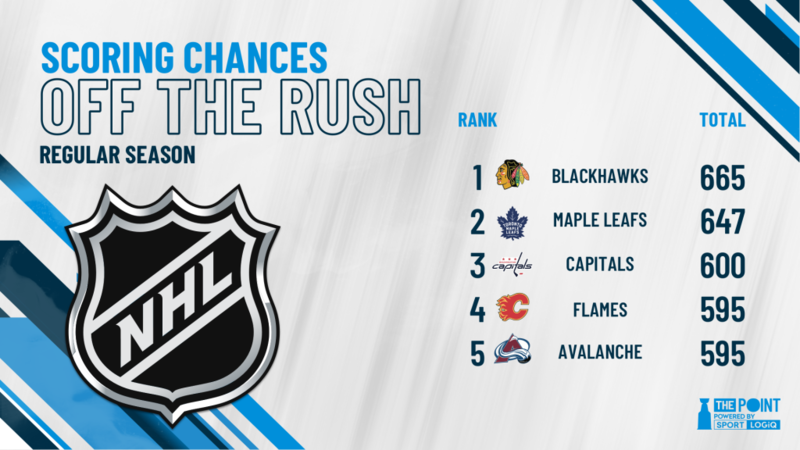 Some context, the Flames allowed an average of 6.5 rush chances per-game during the regular season. They are allowing an average of 14 per-game in this series. As for MacKinnon, he scored twice in Game 3 and chipped in an assist as well, extending his lead in rush chances to a playoff-best, 9. So, the question now is what does Calgary have to do to at least break even when it comes to transition offense in this series? The Flames ranked top-5 in the regular season in scoring chances off-the-rush but so did Colorado. In fact, they created an identical amount. Peters wants his team to be more aware when they have the puck of what might happen if they don’t manage it well. In addition to the lopsided rush chance numbers, the odd-man rushes Peters mentioned favor the Avalanche 17-7 through three games. The Flames will have plenty of tape to watch today and you can bet that ‘puck management’ and ‘transition offense’ are phrases that the players will be hearing often as they get set for Game 4, Wednesday night.